The Leblanc brothers practically led from the beginning to the final ECRC standings of this classic event, whose snowy and icy roads were always a challenge. In the Aigle forest, where the rally can often be won or lost, the gap remained relatively close, which was more proof of this year’s strong level of competition. Returning near the front of the pack towards the end of the event, after having conceded a lot of time following a broken driveshaft early in the event, brothers Mikael and Manuel Arsenault (Subaru WRX STI) finished the ECRC event in sixth place, one step ahead of the novices Ouellet/Delisle 9subaru WRX STI) and the second-place two wheel-drive team of Malcolm Swann (of Prince Edward Island), and his Quebec co-driver Martin Cadieux in a Volkswagen Golf GTI. In Production 4 wheel drive, victory went to Matthew Ballinger and Bruce Leonard (Subaru Impreza WRX). The duo finished the overall ECRC standings in ninth spot, in front of the novice team of Stéphane Hudon and Julien Cyr (Subaru WRX STI). The eleventh and twelfth places went to Sébastien Clark/Yanick Marin in their Subaru WRX STI and Jean-Sébastien Besner/Yvan Joyal in their Mitsubishi Lancer Evo, two teams that were expected to battle for the victory but instead finished 26 and 31 minutes from the winners, respectively. Between mechanical problems and off-road excursions, the 2019 edition of the Rallye Perce-Neige is one to forget for these two previous ECRC event-winning teams, but the season is still very long with plenty of time for them to climb up the standings. The 2019 Rallye Perce-Neige 2019 also counted as part of the Canadian Rallye Championship and the North American Rally Cup. 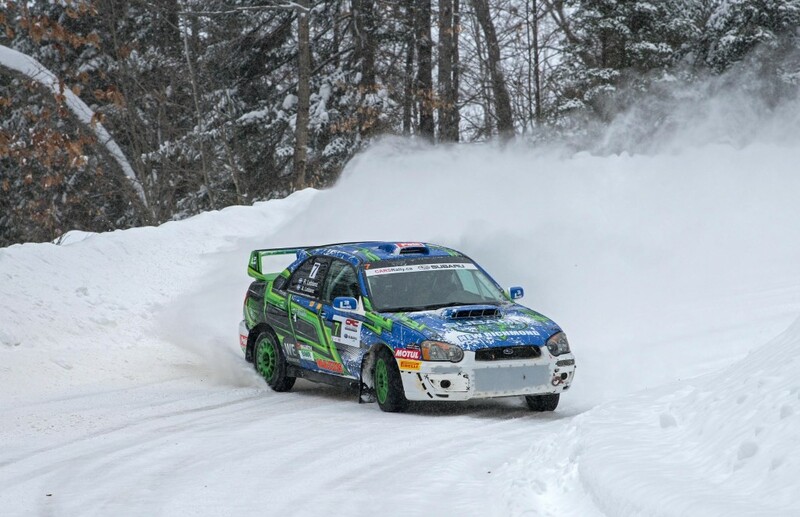 The team of Quebecker Antoine L’Estage and Ontarian Alan Ockwell (Subaru) earned the overall victory for both of these championships.